Neal McCoy will perform in June for the Miami Valley Centre Mall’s Spectacular Summer Cruise-in & Concert in Piqua. PIQUA — The Miami Valley Centre Mall in Piqua has announced that Neal McCoy will headline its Spectacular Summer Cruise-in & Concert, June 22. This free event features a car show and entertainment. Live bands will play throughout the day before country artist McCoy takes the stage. He has sold more than 6 million records and amassed nearly 25 charted singles including five No. 1 singles and five Top 10 hits. They include “No Doubt About It,” “You Gotta Love That, Wink” and “They’re Playing Our Song.”During his career, he had three platinum and one gold album. Other career highlights include 2006 Country Radio Broadcasters Humanitarian of the Year, 2005 ACM/Home Depot Humanitarian Award Winner, 15 USO tours around the world since 2001, two-time Entertainer of the Year, CMT’s Top 10 Video of the Year: “The Shake,” Video of the Year: “Then You Can Tell Me Goodbye,” Reggie Award Winner for Fleetwood Homes national advertising campaigns, 2006 Country Radio Broadcasters’ Artist Humanitarian of the Year Award, inducted into the Texas Country Music Hall of Fame in 2009. “You Don’t’ Know Me” is McCoy’s current CD with songs from the Great American Songbook. The cruise-in part of the event will feature show cars, with commemorative dash plaques to be given to the first 300 cars to register. Fifty trophies will be awarded along with a Best of Show award. No advance registration is required. Regional and local bands will perform during the day. This year, food trucks and overhead video screens will be added, along with a tribute to the troops. As in past years, this event should reach 15,000 spectators or more. Over 1,000 show cars are expected, as well. This event does not permit alcohol on site but Buffalo Wings & Rings and Red Lobster will be serving drinks at their restaurants; both restaurants are on the mall property and within walking distance of the concert area. Attendees will be asked to wear red, white and blue to show their support of the U.S. armed forces, both active duty and veterans. The Comfort Inn Hotel, attached to the mall, will have special pricing for rooms the weekend of the event. Updated information will be posted at www.miamivalleycentremall.com and on Facebook. 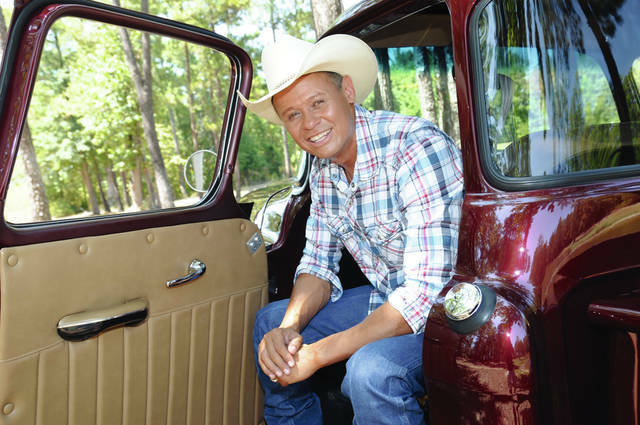 https://www.sidneydailynews.com/wp-content/uploads/sites/47/2019/01/web1_McCoy.jpgNeal McCoy will perform in June for the Miami Valley Centre Mall’s Spectacular Summer Cruise-in & Concert in Piqua.